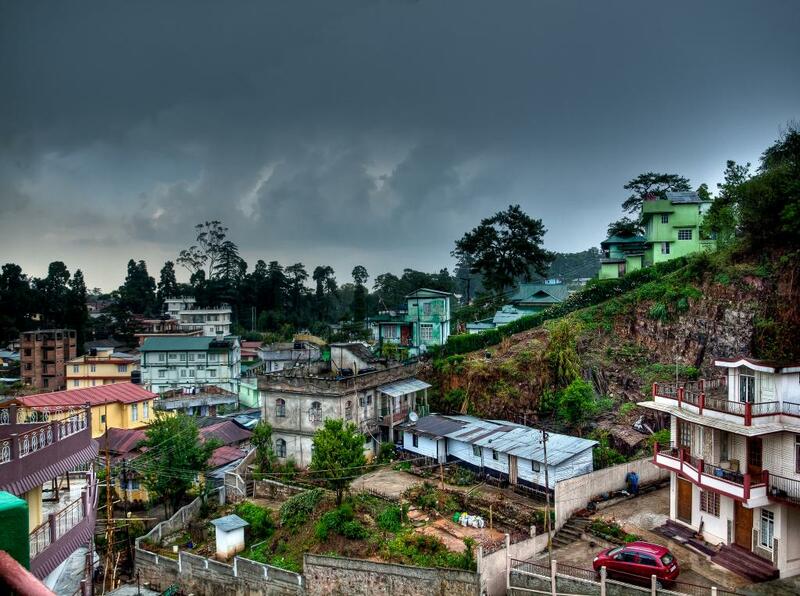 Why are we sweating in Shillong? Sitting in the glass-and-concrete State Convention Centre in the capital of hilly state, Meghalaya, participants of a media workshop on climate change were feeling sweaty. The convention centre is not air-conditioned nor does it have ceiling fans. For the comfort of guests, some pedestal fans were plugged in. Why are we sweating in Shillong? Asked state information technology minister Dr M Ampareen Lyngdoh. The question may sound strange for those who have read in tourist brochures and text books about the wettest places on the planet being in Meghalaya and about its round-the-year cool weather. The answer to this question came in the form of a new study done by researchers from the Water and Climate Lab at Indian Institute of Technology (IIT), Gandhinagar. The study has shown that air temperature in the state is rising at the rate of 0.031 degree per year. The trend is consistent from 1981 to 2014, barring the years 1991 and 1992. 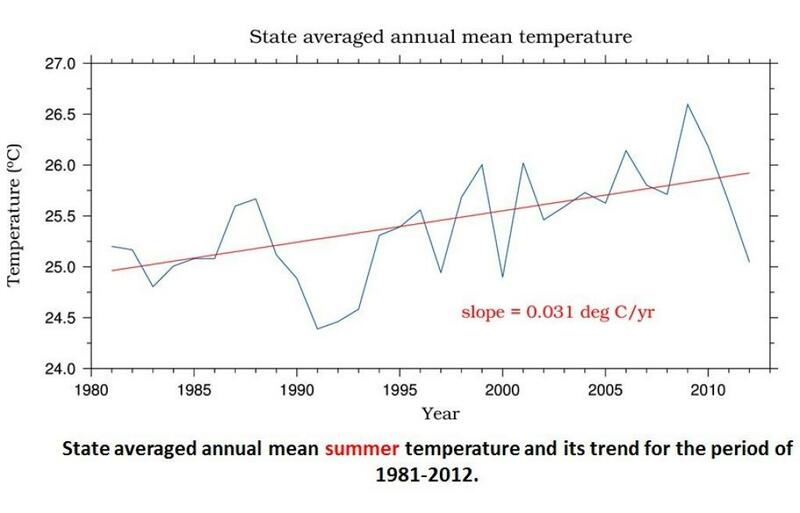 This translates into 1 degree centigrade rise between 1981 and 2014, which is quite significant. Future projections indicate similar rise over next two decades. Based on historical and observed data as well as computer models, the study has projected changes over short-term (2013-2040), mid-term (2041-2070) and long-term (2071-2100) for the state. It is a high-resolution study in the sense that projections have been made for grids of 5 X5 km size, so as to help in vulnerability assessment for each grid and adaptation planning at local level. Future projections show an increasing temperature rise under different scenarios. Under these projections, the rise in maximum temperature in Meghalaya in the long term ranges from 2.65 degree to 3.8 degree, while the rise in minimum temperature will be between 2 degree and 3.5 degree in the long term. The increase in temperature may result in higher number of extreme hot days and nights. Under the extreme scenario projection, the number of hot days could be as high as 100 a year. Similarly, there may be a decrease in extreme cold days and nights. “The state has already seen a rise of temperature of 1 to 1.5 degree in the past three decades, and the projections point to a similar rise by 2040. If temperature in Meghalaya will rise by about 3 degree in a span of half a century, we don’t know what Meghalaya will be like in future - West Bengal or Assam?,” wondered Dr Mishra. There will be changes in the rainfall patterns in future. The central plateau region is projected to experience an increase in rainfall at a higher rate than the rest of the state. The occurrence of extreme rainfall events will also show an upward trend under various projected scenarios. “The West Khasi hills which already receive very high precipitation is projected to face even higher rise in precipitation,” Dr Mishra added. The changing climate in Meghalaya, he said, would have widespread implications for forests, water resources, biodiversity, agriculture, livestock and human health. For instance, due to significant rise in temperature, forest fires may go up while extreme rainfall events will increase risk of landslides in high altitude areas causing siltation of water bodies downstream. The rise in temperature will also threaten endemic plant species many of which are already on the verge of extinction. Rain-fed agriculture in the state will be adversely hit with crop yields and production declining. Higher temperature will also induce premature breaking of insects and pests. The inferences made in the study are contradictory -- for example by telling rainfall increase, we can not expect forest fires and automatically temperatures will be lower. In 2002 and 2009 drought years with 91 and 89% of the average, the raise in temperature was 0.7 and 0.9 oC at all India level. Also, during wet years the temperatures were lower than the average. The increasing trend in temperature appears to be more of changes in land use and land cover. Yesterday I saw an article wherein the global forest fires have been comedown drastically.